Refers to the care of healthy people, promotion of good health to kids and adult including vaccination program and the detection of conditions which may not be apparent yet. 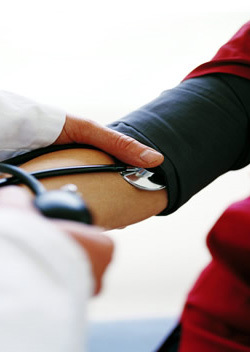 We also offer Comprehensive Health Check Up Program according to your age and pre-existing conditions. Palliative care refers to the management of symptoms and their control in patients where the disease causing the symptoms cannot be cured. For our patients who are on regular medication or medical conditions that need long term medical supplies such as diabetes, hypertension, colostomy, asthma, COPD. We offer a bulk medications and medical supply at very reasonable price. We serve as a Chiang Mai Travel Clinic. 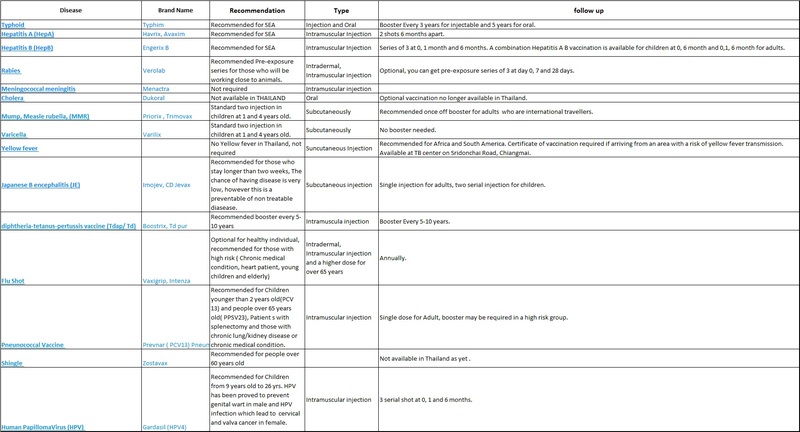 Reccommended Vaccination for first time travelers or seasoned travelers to Asia. All Vaccinations except YELLOW Fever are available at HCMC Clinic Chiang Mai Thailand. Please click HERE for details.